Everyone loves a good sandwich - whether they are the kind between two pieces of bread or when Panic splits a song in half. This week’s selections are both rare (uncommon) and well done (well executed). We start with a return to Buckhannon, West Virginia (episode 1) and a rare Dirty Business sandwich from 4/20/96. After a return to Red Rocks in 1998 for an inverted Pleas > Chilly > Pleas sandwich, we head to Harvey’s stomping grounds in Lexington, KY for a stellar Junior > Pusherman > Junior from 1999. A very un-festival like segment from Beale Street Music Festival follows. And we wrap things up (get it?) from 2 straight nights in Summer 2001. A Walkin sandwich from Little Rock that features a “little” Rock and Bears Gone Fishin > Papa Legba > Bears Gone Fishin from Tulsa, OK that gets a little out there at the end as it winds its way into Drums. All in all, we think these showcase some of Panic’s most original and experimental playing (and setlist creation). 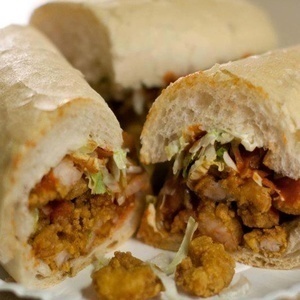 So, grab you favorite Shrimp Po-Boy, BLT, or your sandwich of choice, sit back, and dig on some sandwiches, Panic style.